Port Talbot TownPort Talbot is built on a narrow strip of coastal plain surrounding the River Afan estuary; Swansea is visible on the opposite side of the Bay. The north-eastern edge of the town is marked by the River Neath; a significant landmark in the town is the Port Talbot Steelworks. 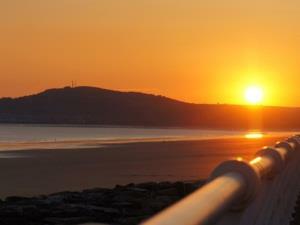 A long strip of sandy beach north-west of Porthcawl, Aberavon has a Seaside Award and is popular with surfers. Afan Forest Park Visitor Centre is set within 11,000 hectares of forest; it offers walking trails, family cycling, exhilarating mountain bike trails, picnic areas and the South Wales Miners Museum. The Centre has a range of facilities including a cafe, gift shop, bike wash, cycle hire, an information service, a first aid station and a base for the Forest Park Rangers. Port Talbot Parkway railway station is on the South Wales main line from Cardiff to Swansea. Port Talbot is built on a narrow strip of coastal plain surrounding the River Afan estuary; Swansea is visible on the opposite side of the Bay. The north-eastern edge of the town is marked by the River Neath; a significant landmark in the town is the Port Talbot Steelworks.